My usual Thursday and Sunday posts will be disrupted for the next few entries. I hope to get posts in when time permits, but the days may change and their content might be brief, so please bear with me and check back frequently. As always I will post them to Facebook and Twitter to notify people. Yesterday we celebrated my mother in-law's 70th birthday. We had an absolutely PERFECT day weather wise from sunup to sundown. Temps in the low 70's, no humidity, clear skies and no wind. It was spectacular. Donna, her brother and her dad spent the morning getting ready for guests. I took a walk with Mom and we had one of the best chats in a long time. I don't get one-on-one time with her that much, but when I do, I'm always amazed how well we connect. She has a wonderful attitude despite some health issues, and is fun to talk to face to face. 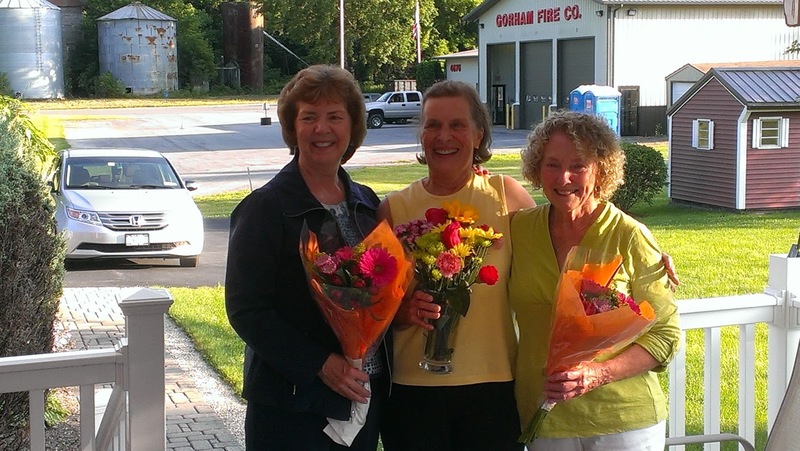 For her birthday, two of her best friends from high school come over for dinner. She didn't want a big party, so we limited it to them and her immediate family. The setup for the big surprise was done. Ever since she was a young mother, Carol has wanted to ride in a semi truck. Who knows, she may have been a truckers wife if things had gone differently. 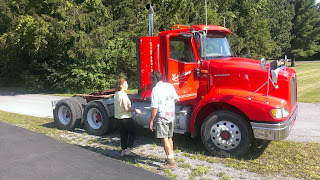 So when our friends the Morris' pulled up in their fire-engine red semi truck, Mom's eyes about bugged out of her head. She was thrilled. We thought she might have some apprehension about taking a ride, but she couldn't get in that cab fast enough. She even said she might not come back! 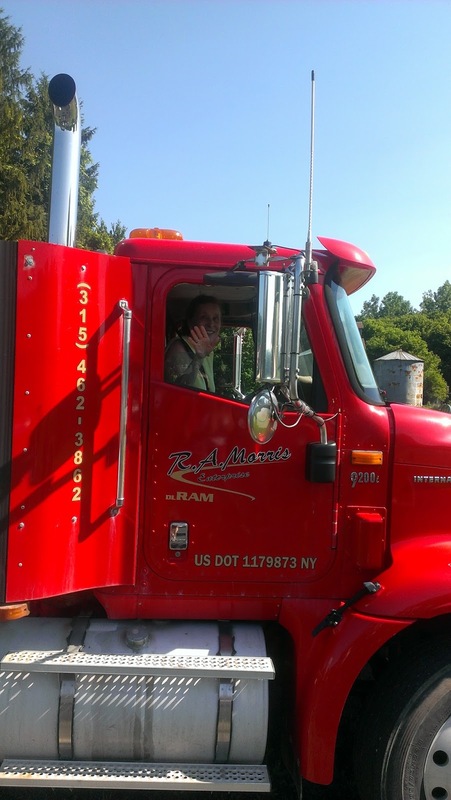 The truck pulled away with Carol waving out the passenger window and with a blast of the air horn she was fulfilling an item on her bucket list. When she got back, the driver said that she was jabbering with enthusiasm like a school girl the whole time. She loved it. It was a good call by Donna and her siblings to give her as a gift. The rest of the evening was spent enjoying dinner and drinks with her kids, her son in-laws and her grandchildren. Like the weather, the whole birthday celebration was PERFECT. And much like my mother getting a meaningful tattoo on her 80th birthday, it reminds me that EVERYONE should have a bucket list or a list of life goals at the ready. It makes for a richer life as Carol showed us all yesterday. One of mine is to skydive someday.